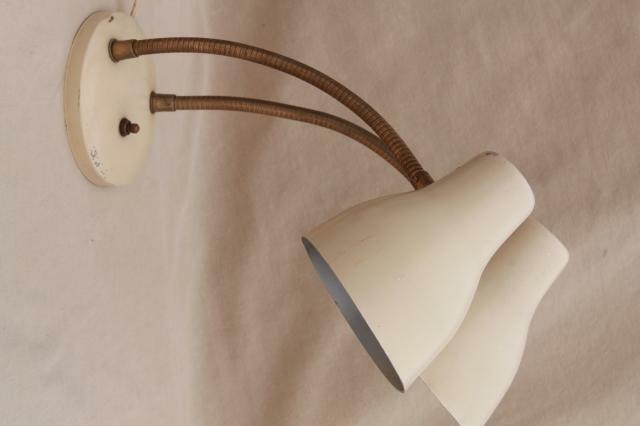 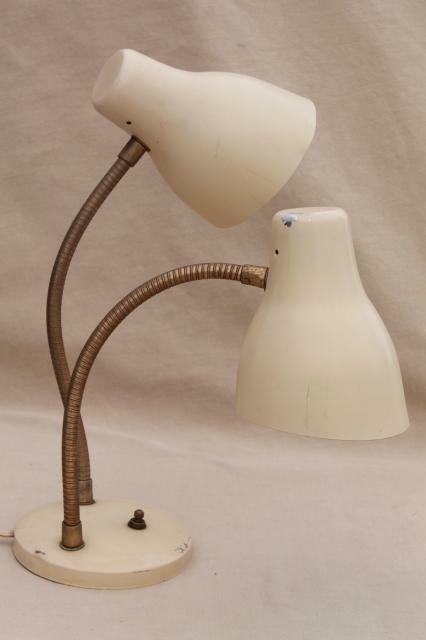 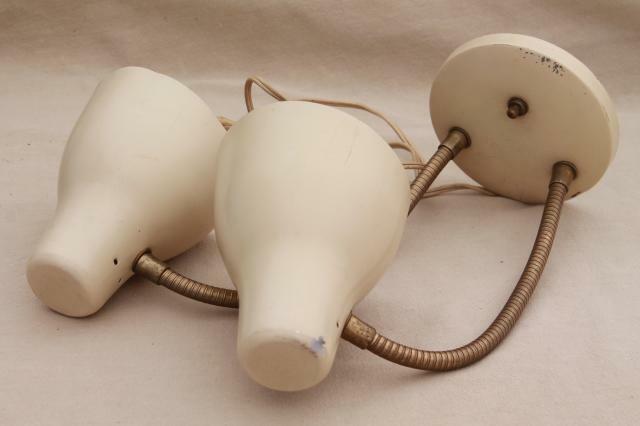 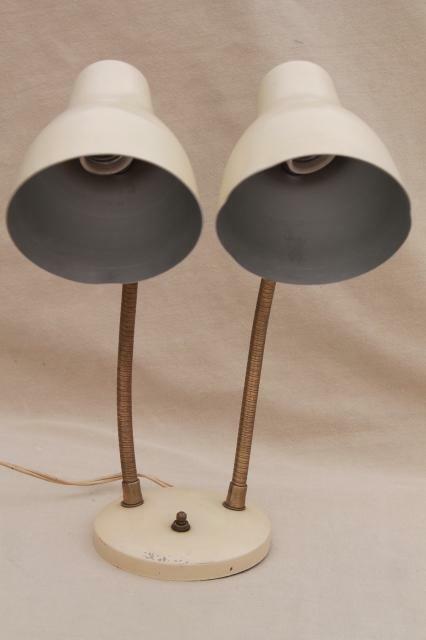 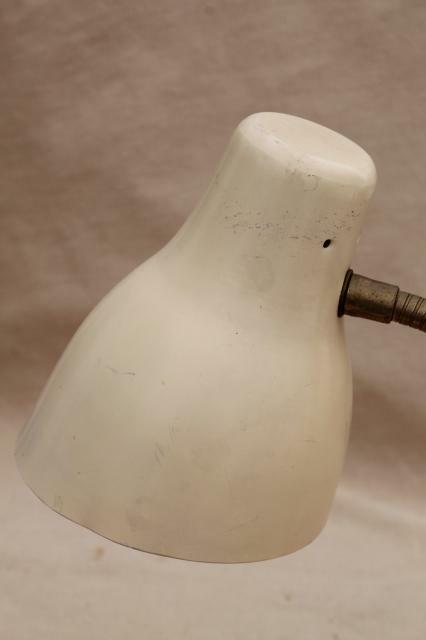 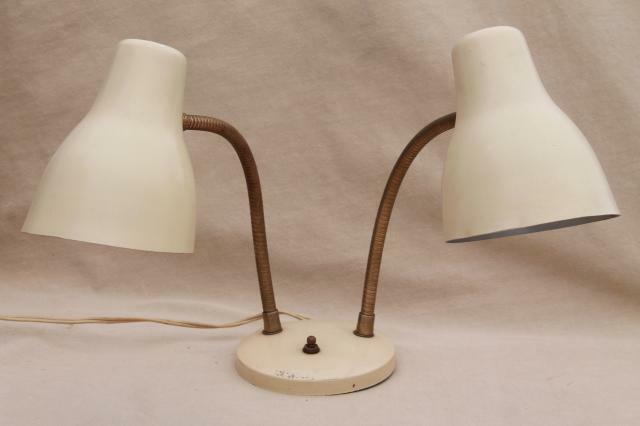 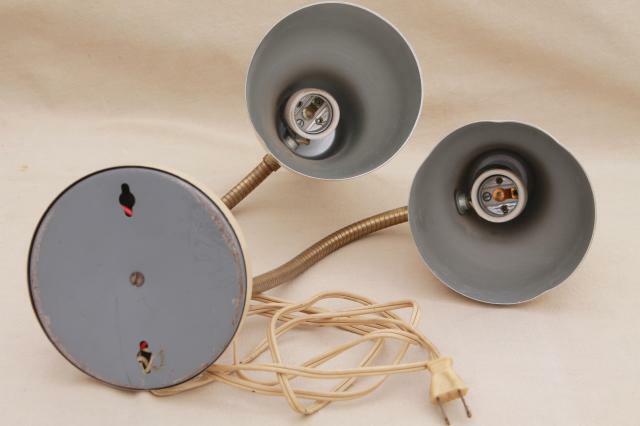 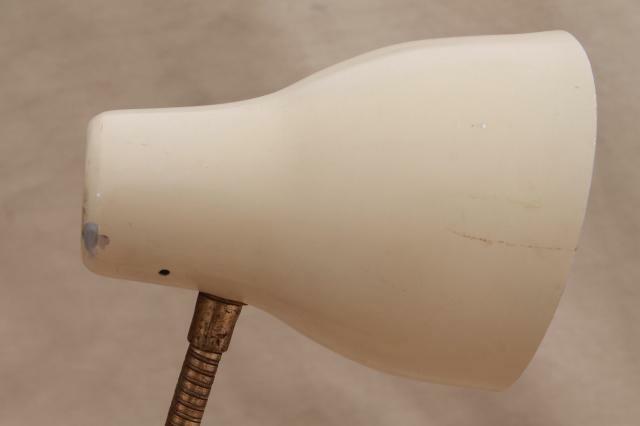 This 60s vintage goose neck lamp is made to sit on a desk or hang on the wall for the ultimate in flexible work lighting! 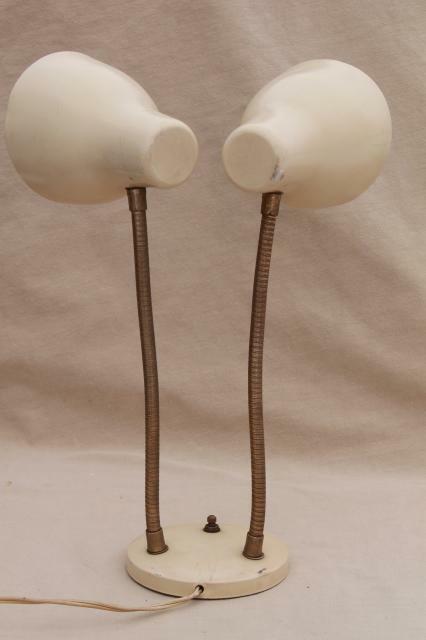 It's about 16" tall standing upright on a table. 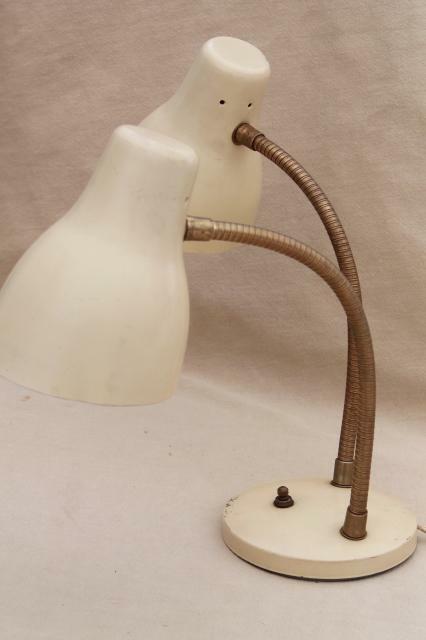 This works well, and looks clean and good overall. 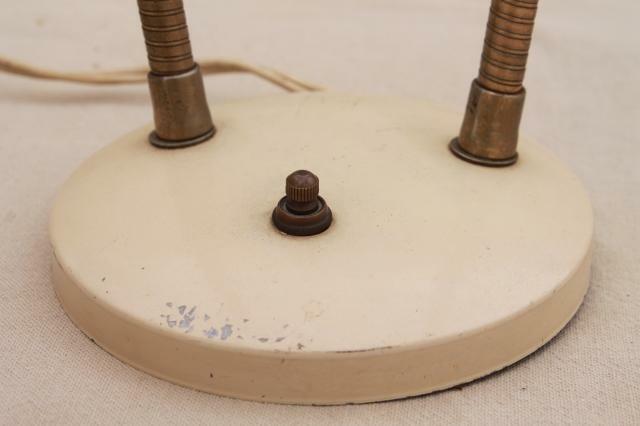 There's a little light scratching to the original finish.